Free Book; Last Call! | A Blackbird's Epiphany - UK Women's Fitness and Fantasy Writing Blog: Free Book; Last Call! Just a quick update to remind you all that today is the last day my book will be available for free on all regional Amazon websites! 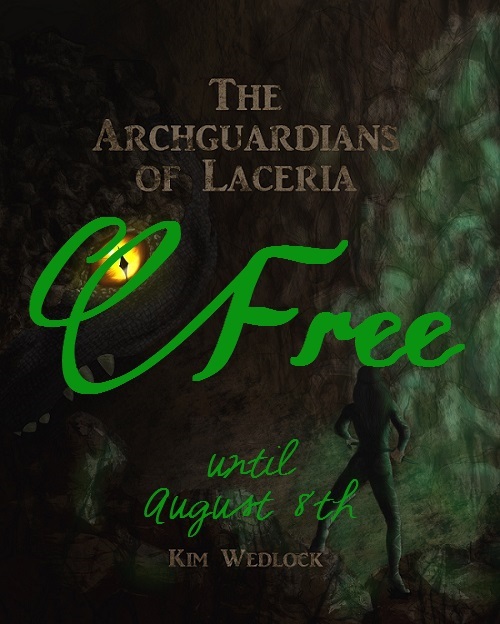 After midnight tonight (western USA time) and 8am tomorrow morning (for those of us in the UK), The Archguardians of Laceria will return to $7.50/£4.99 respectively. I've also got everything ready for release on other ebook readers for early next month, though you still don't need a Kindle to read the Kindle version since the free Kindle app can be downloaded and used on pretty much everything. It's been doing remarkably well, though. I'm actually a bit amazed by how many downloads it's received! It's true that they're probably not 'purchases' that would have been made had the book been at full price - new writer and all that, you never know what you'll end up with - but at this point it's definitely about getting my work out there rather than the money. So I'm hoping to move a few more before the offer ends! So, if you've not grabbed your free copy of my book, do it now!